1916 was a year of hard fought victories, with the tide definitely turning in both the western and Middle eastern fronts. However war exhaustion is beginning to hit home hard for both the Triple Ententé and the Central Powers. Bulgaria signed an armistace with French ambassadors late in the year, while Russia has been rocked by mass strikes and protests, as has Australia. Great Britain has seen mounting discontent which flaired up most in Ireland where Michael Collins and his rebels forced the quick transfer of a small number of troops to the eastern coast of the emerald isle. Meanwhile in the Middle East, rebellion is being formented amongst those once oppressed by the Ottoman Empire, with the Arabs rising up to overthrow their former Turkish masters and drive them out of Mecca and Medina. To aid these brave men to establish their great Arab Empire we have sent supplies and a military advisor in the shape of one T.E. Lawrence. We look forward to seeing them in action alongside us as we drive the Ottomans out of Tel Aviv and advance into Palestine. 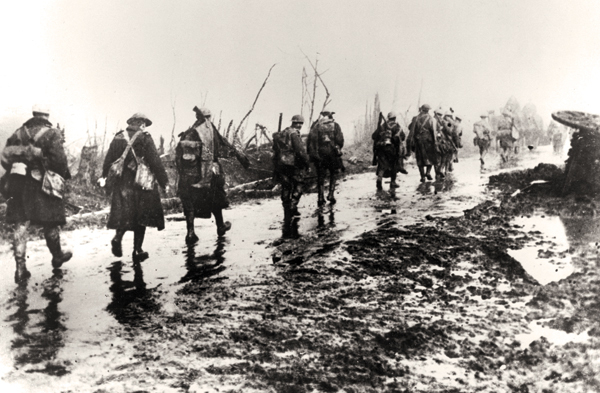 Over 5% of the pre-war population of Germany have been killed in this war, and some 3-4% of the British pre-war population have died, in France there are few villages who have not lost someone in the fields of western Germany. It's becoming harder for the Royal Navy to find German ships to sink, a new building program of H and J class submarines which completed at the end of 1916 will only bring more misery to the navies of the Central Powers as their convoys are decimated. This is not to say that the British have had it all their own way, however since the disaster that befell the Queen Elizabeth class warships after the Battle of Kattegat, there have been no major skirmishes with the German navy. 1917 would be remembered as the year of collapses, with the Great War having bled white many of the major players in the theatre. With the Tsar gone, the Russian army went on a renewed and more powerful offensive, following the example of the French and British forces who were powering into Germany. For a time it looked as if soon the Russians would link up with the French and British somewhere in the middle of southern Germany. Then came two actions which would change the war and perhaps propell a third action which would change the world. In April 1917 after much deliberating in Congress, the United States of America declared war on the Central Powers, with most of Southern America (with the exception of Mexico which was still recovering from its Revolutionary wars) following suit shortly after. 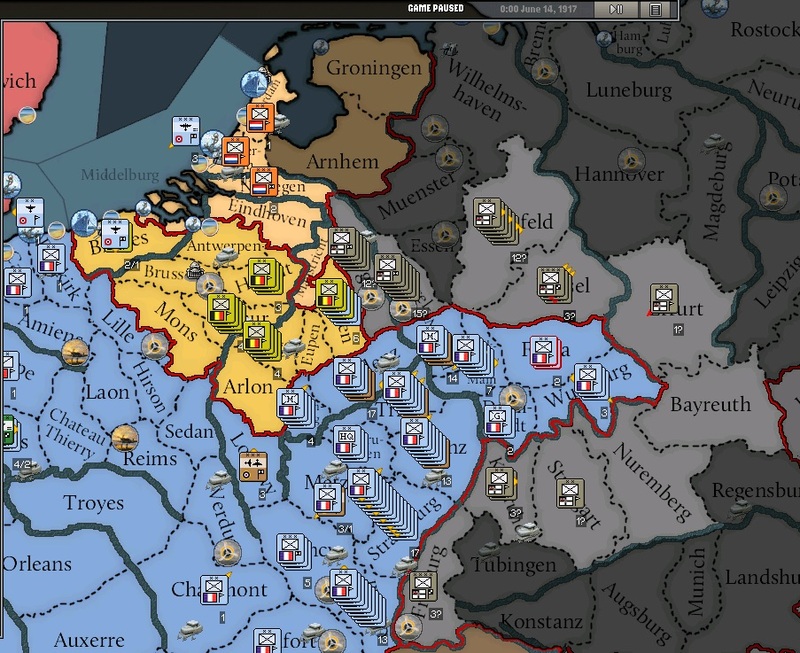 In late August/early September, the Austrio-Hungarian Empire sued for a white peace with France and was granted it, having been heavily overrun by a renewed Russian offensive. Within a month, the Austro-Hungarian Empire was dead, split into several new states such as Czechoslovakia, Hungary, Austria and the Kingdom of Serbs, Croats and Slovenians. 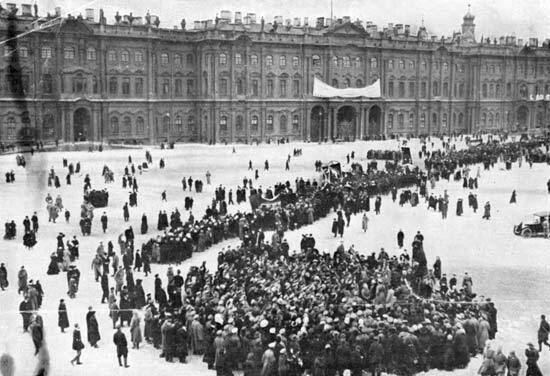 Then came the third shock as the Russian provisional government was overthrown in a second revolution in November, with a new Communist state being created led by Vladimir Lenin. 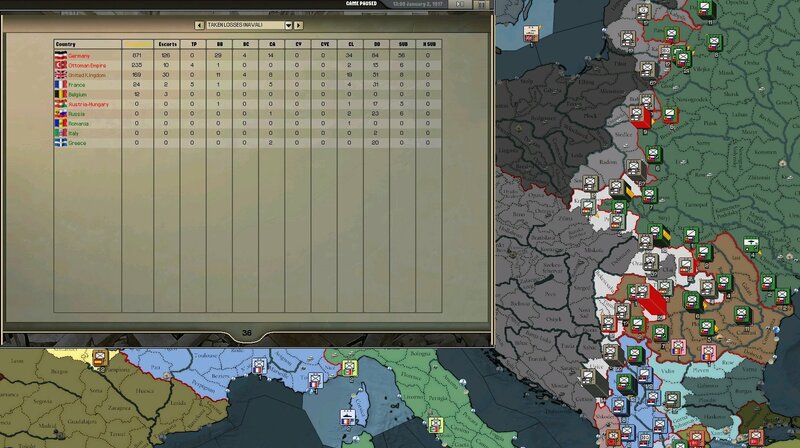 It wasted no time in purging its armed forces, creating vast gaps on the eastern front which the German forces have so far been only barely able to exploit due to their catastrophically low manpower. Smelling a chance to possibly end the war quickly and avoid further bloodshed, Britain launched an ambituous scheme, it siphoned away two small armies from the west German front where they boarded ships at Dieppe before joining up with the Grand Fleet and heading for Rostov and from there...Berlin! The attack on Rostov is often quoted by historians as being Britains biggest blunder of the Great War, with many reasons given for its failure, poor supply lines, inadequate troop numbers, or just poor leadership, whatever the cause a great number of British bodies lay dead on the German coastline that week and the Grand Fleet returned to Scapa Flow and the survivors back to France where they would slowly return to the front line, and the war would drag on into another bloody year. 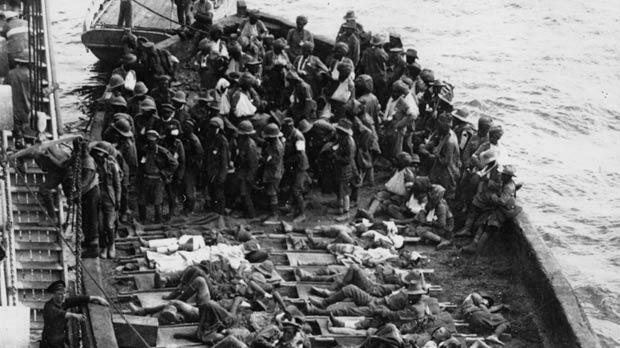 Pictured: Wounded soldiers, some still in desert gear having been hastily transferred from forces on the Palestine front, climb onto a hospital ship off the coast of Germany following the failed Rostov assault. 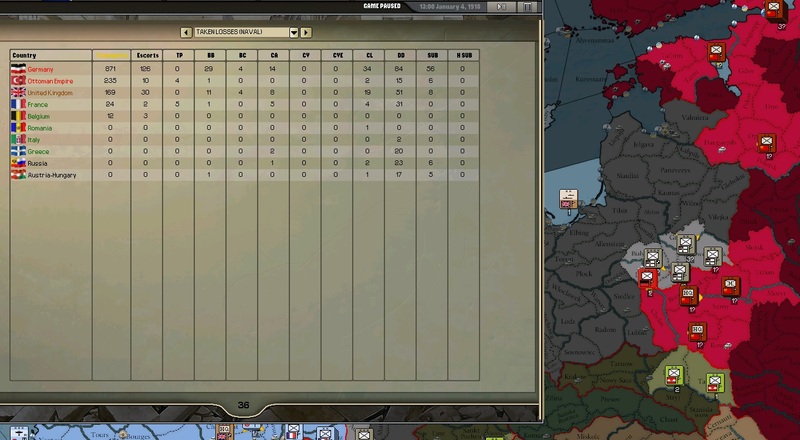 Analysts are astonished at how Germany is still able to fight despite having suffered so many casualties, the collapse of the Russian and Austrio-Hungarian empires have shown the path down which such massive casualties can lead...but Germany still continues to fight. Meanwhile the Ottoman Empire is steadily being pushed back, with British forces having taken Tel Aviv, Jerusalem and Damascus in short order during 1917. Meanwhile in England, some experimental units are being equipped with a large motorised creation dubbed an 'armoured track layer'. So far it has shown that is extremely efficient at getting stuck in trenches, mud, hedgerows, sand dunes, bridges, and small gulleys, and it has also displayed an incredible skill at mechanical failures at the most inopportune of moments. Despite these incredible advances, the units will probably not be ready until early 1918. 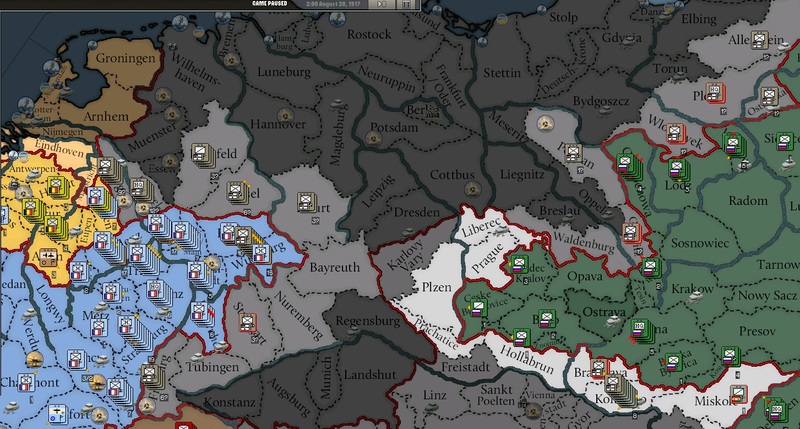 On the naval front it has been extremely quiet, it is estimated that either Germany has little to no convoy activity left, or it has gotten very good at hiding them. Likewise attacks on British convoys have also tailed off, with the rapid movement of French and British forces into western Germany it is estimated that production has shifted from naval warfare to land warfare. The relatively quiet skies above the German front would also lend weight to this theory.